Start off your visit on the 9th (Thu): get your game on at Playland Not At The Beach. To find where to stay, ratings, reviews, and other tourist information, read El Cerrito travel route builder tool . Los Angeles to El Cerrito is an approximately 4.5-hour flight. You can also drive. Traveling from Los Angeles in May, expect a bit cooler with lows of 53°F in El Cerrito. Wrap up your sightseeing on the 9th (Thu) early enough to travel to San Francisco. On the 10th (Fri), examine the collection at de Young Museum, take in the views from Golden Gate Bridge, then take in the waterfront at Fisherman's Wharf, and finally step off the mainland to explore Alcatraz Island. 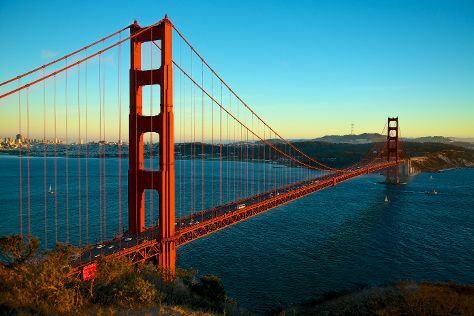 To see reviews, photos, maps, and other tourist information, read our San Francisco day trip tool . San Francisco is just a short distance from El Cerrito. Expect little chillier weather when traveling from El Cerrito in May: highs in San Francisco hover around 69°F, while lows dip to 53°F. Finish your sightseeing early on the 10th (Fri) to allow enough time to travel back home.